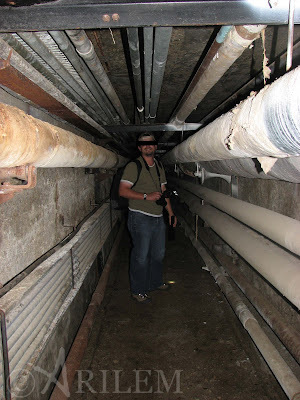 Tunnels are something that is not a huge thing in Saskatchewan but with a bit of research they can be found. Wether is being natural or built by man, tunnels are where you least except them. 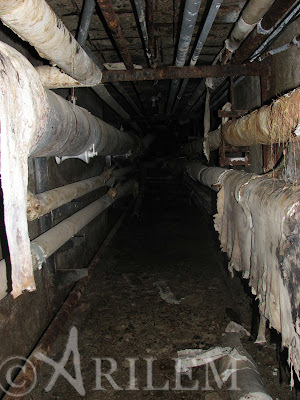 Most people dont know much about tunnels or that we have any in Saskatchewan. Well now you know - we do have them although alot of them are disappearing fast - i have been fortunate to have my fair share of fun in them. The other day i was speaking a fellow explorerer about types of footwear to explore in. I know it seems like common sense that you should have proper shoes to explore but thats not always the case. I know for me i change up my shoes. This could be because i am driving or its really hot outside and i would rather have flip flops and sometimes i dont even change shoes at all - i just walk out of the house in what i am wearing. It seems that no matter how much trouble i get into not wearing the proper shoes i still continue to do it. So this is for all those people that explore in crazy footwear not suited for the occasion. I went out on a trip today by myself. I think this is the first official time i have gone out exploring alone. Went out with my new car.. which is the same as my old car but 2 years newer. I killed my old car.. although it did alot of things it was not designed for. It was the perfect day - the weather was great and the paved road dry.. gravel roads were muddy but i was determined. Some highlights from the trip? I'm a religious person. I explore abandoned churches on Sundays. Anyone that knows a bit about me and exploring they will know that i love abandoned churches. There is no shortage in this province, you can find anything from Ukrainian to Romanian and Catholic to Anglican and more. They can be found in urban centers or rural locations all over. Some of the best are hidden by their surroundings and others are in plain site. Whatever the case may be i will always stop to explore an abandoned church. So here are some of my most recent church explorations & some old favorites that i love to return to!